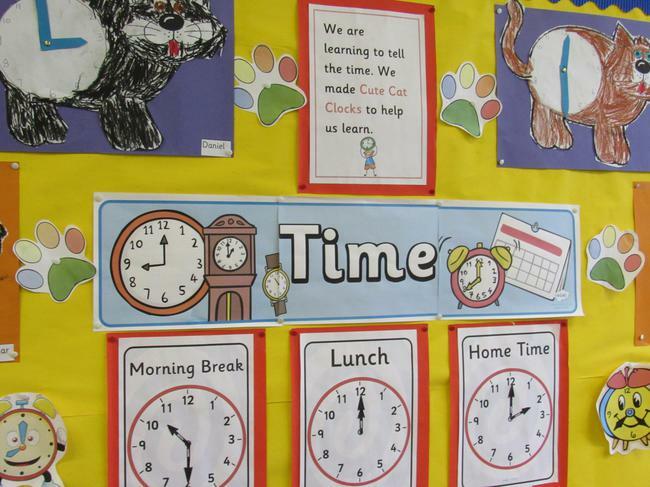 We have been learning about time. 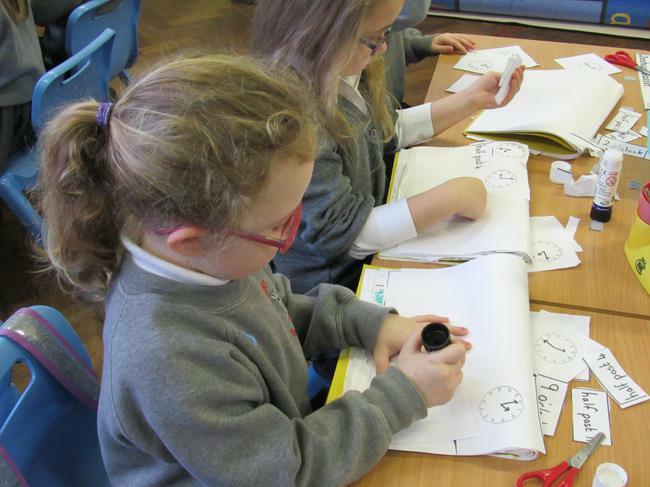 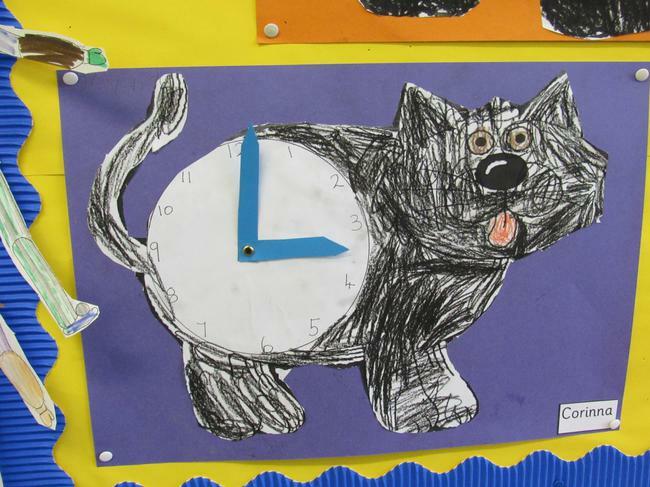 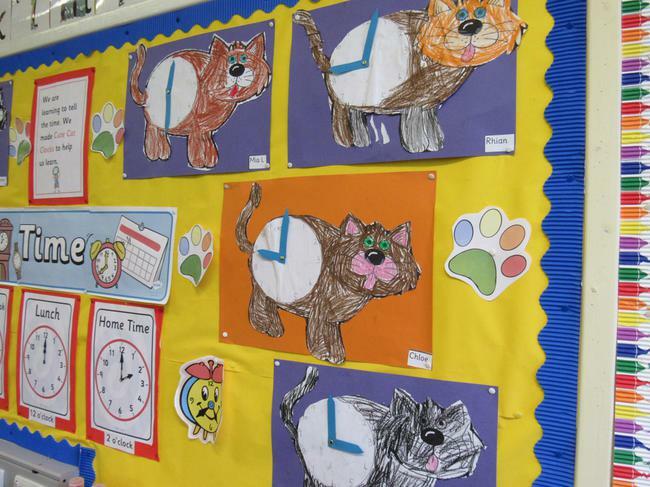 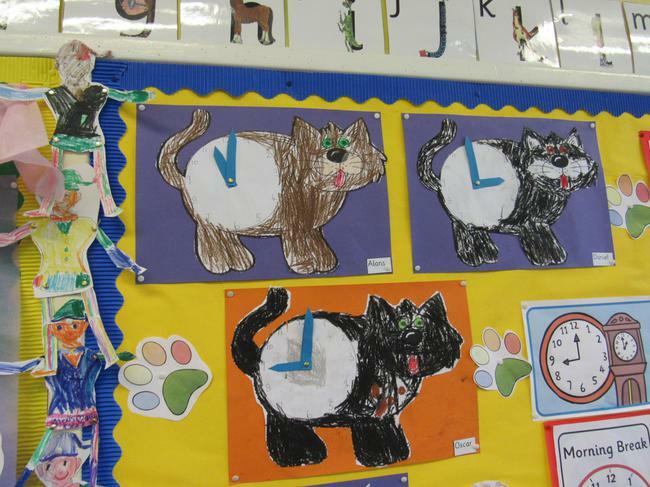 We are learning to tell the time when it is o'clock and half past. 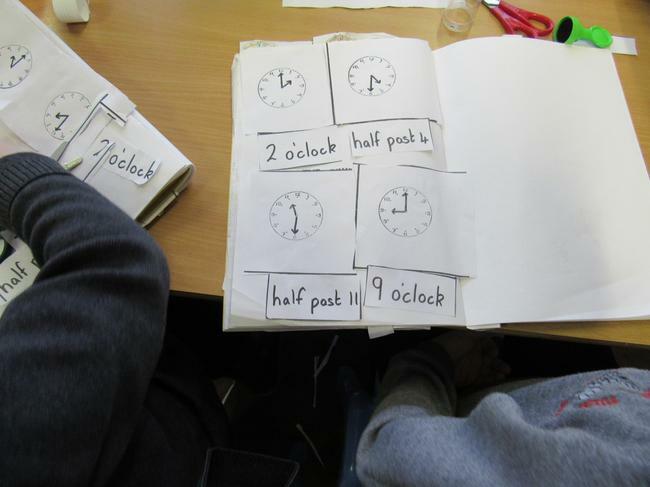 Now we know that when the big hand is at 12 it is o'clock and when the big hand is at 6 it is half past. 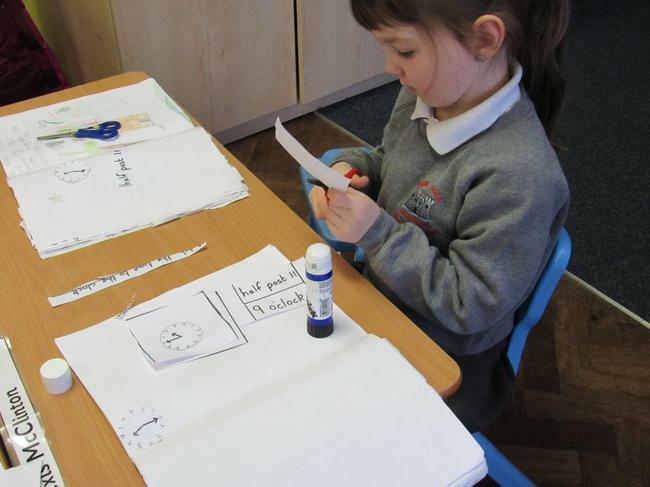 We each had our own little clock to practice making the time with. 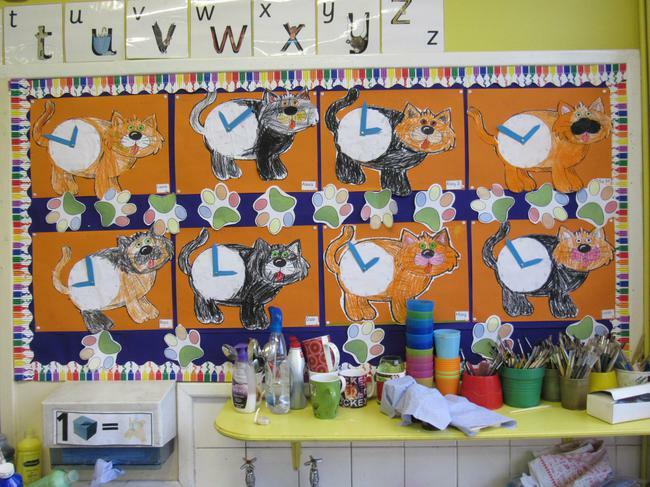 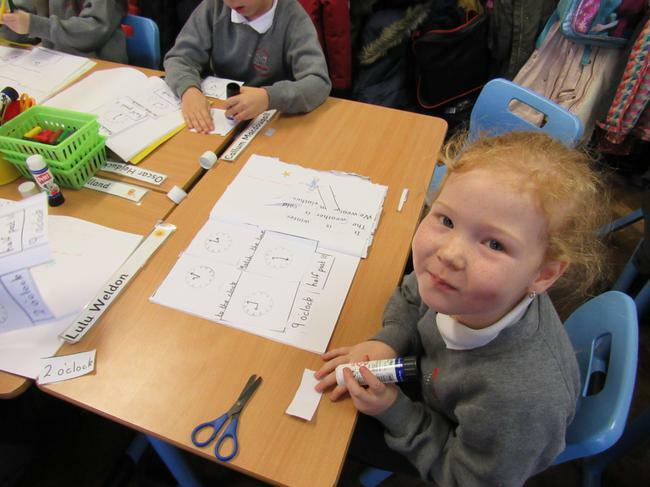 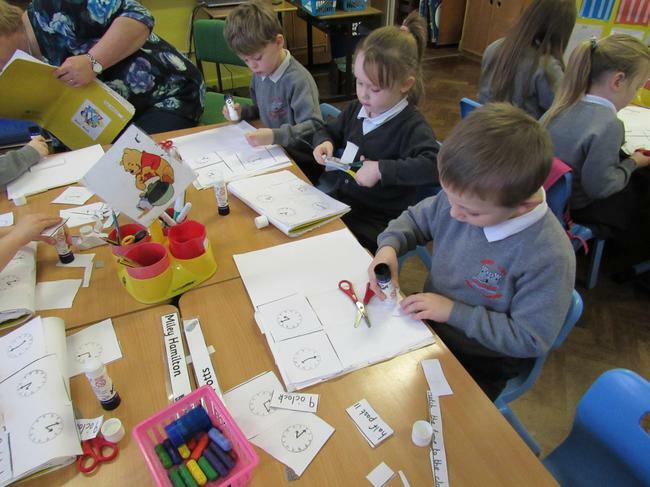 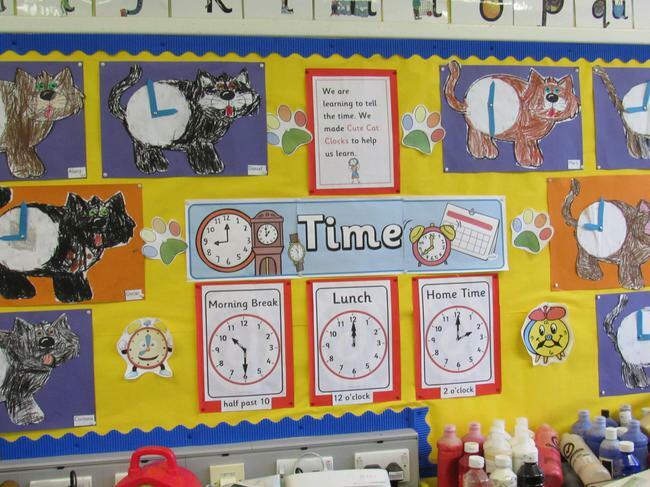 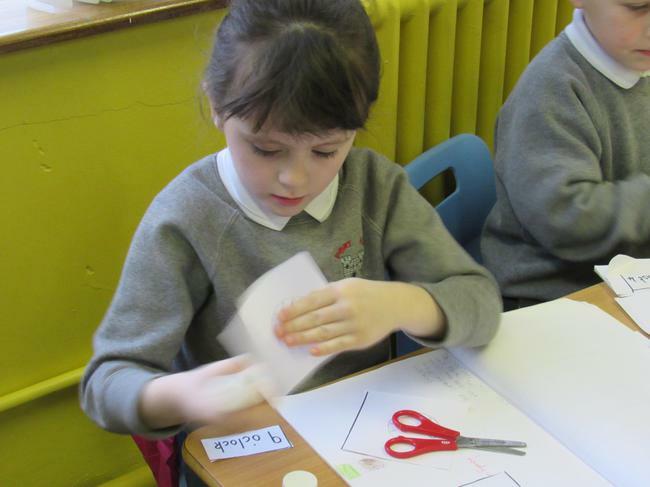 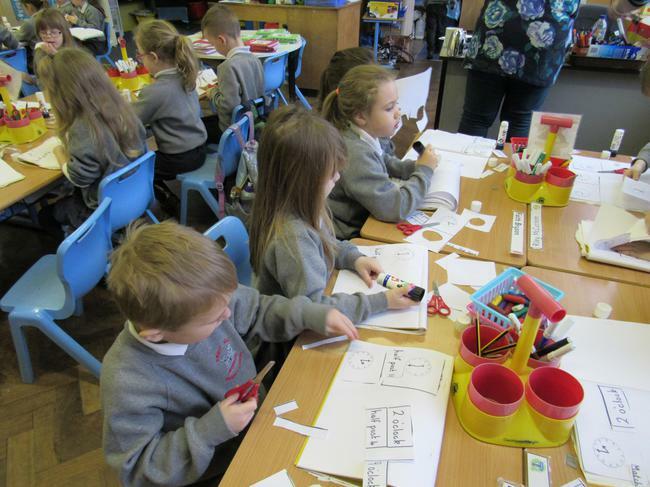 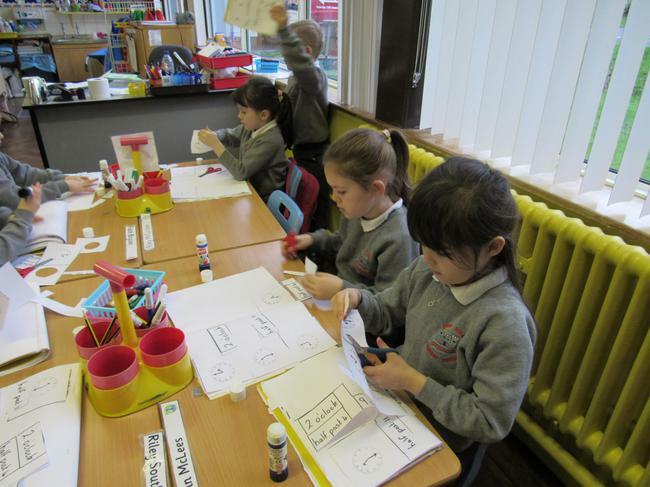 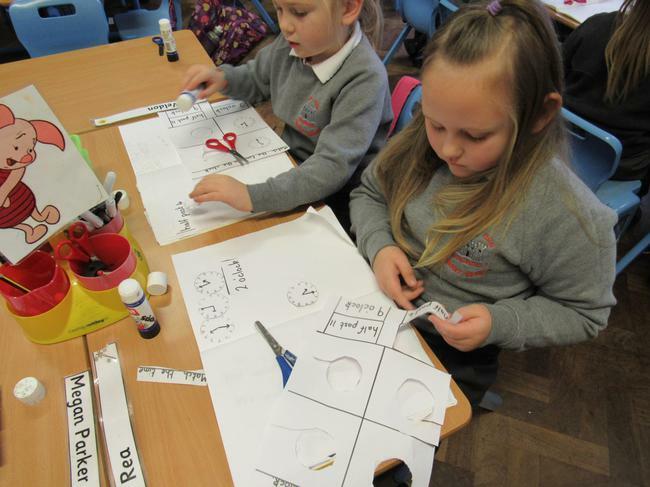 Have a look at us working at matching the time to the clock and please help us practice at home.